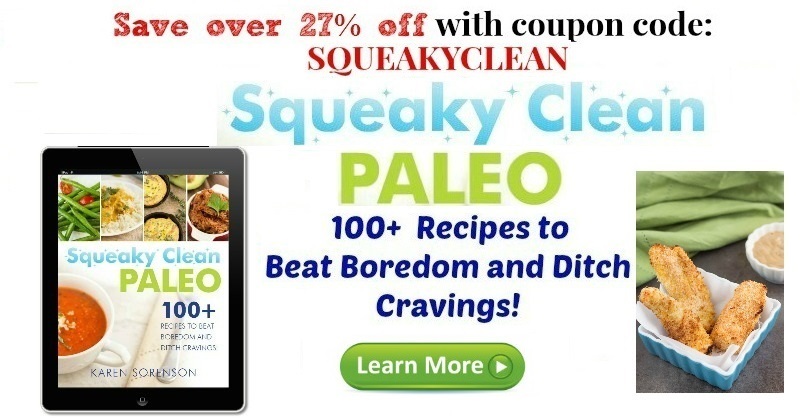 The 30-Day Squeaky Clean Eating Challenge started on Monday so to prepare last weekend I made some make ahead meals so after a long day of work I could mindlessly make dinner without have to think about it much. 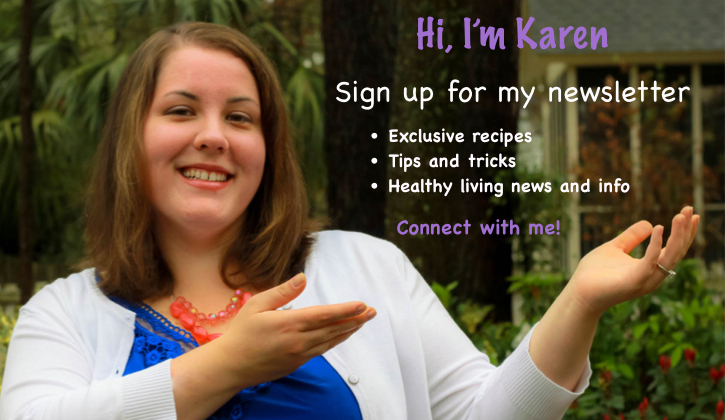 One of the dishes I made was Italian Meatballs, which are great for those doing a Whole30 or 21 Day Sugar Detox. The great thing about these meatballs is that I cooked them, let them cool, and prepared them for the freezer. 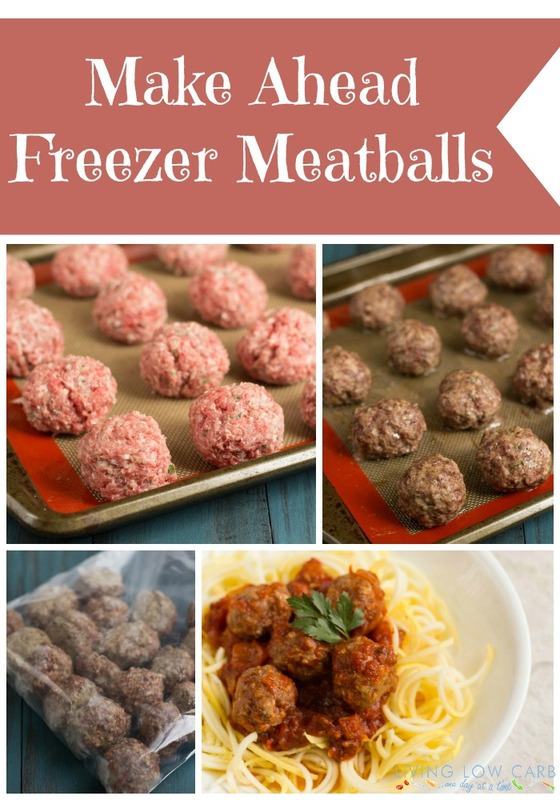 I portioned them out into dinner sized servings so when I get home from work, I can throw the meatballs in some marinara sauce (or whatever your favorite sauce is…BBQ or Teriyaki would work great too) on the stove over medium heat and cook until the meatballs are heated through. They will be great served over zucchini noodles. 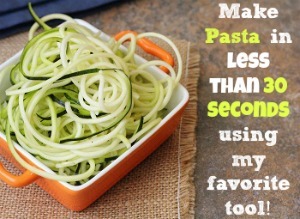 Serve with zucchini noodles…Learn how to make Zucchini Noodles here! Add the ground beef and ground pork to a large bowl. Add the grated onion, garlic, parsley, oregano, sea salt, and black pepper. Using a medium scoop, scoop out some of the meat mixture and roll into a meatball and place onto a lined baking sheet. Bake for 17 minutes and remove from the oven. Allow to cool and place in the freezer in a single layer for 1 hour to flash freeze. 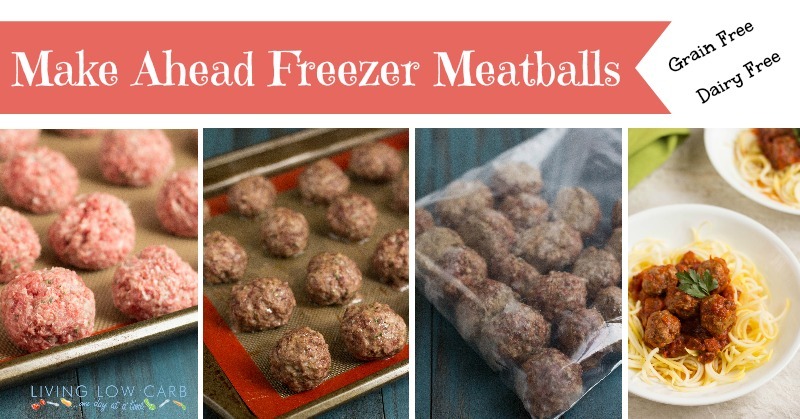 Place the meatballs in a plastic freezer bag or use your preferred freezer method. Label the bag and freeze for up to 3 months. To serve place the meatballs in the sauce of your choice (like marinara sauce) and simmer until the meatballs are heated through.